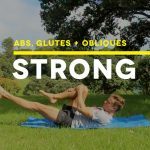 Three of the most important areas for runners to strengthen are the glutes, abs and obliques. This short workout will help build strength and stability while running and won’t hurt the goals for shaping up for summer either! 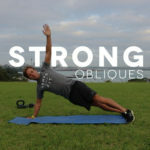 This entry was posted in Strong Workouts, Uncategorised and tagged core exercises, glutes, strong. Bookmark the permalink.